The Girly Blog | insideWYNTER: One of many upcoming Bold Looks. One of many upcoming Bold Looks. Yesterday I filmed a tutorial (finally) for my beauty channel on youtube. It's a fun Bright-Bold Smokey Eye Look that honestly represents me. & no, not because there is pink in it... well maybe. 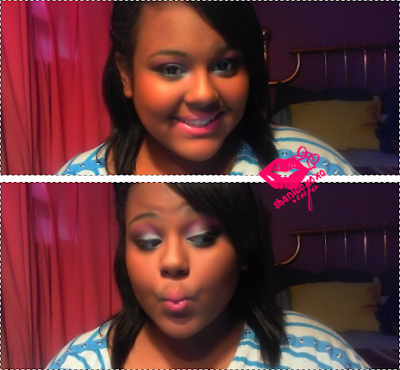 I just love a smokey eye mixed with a cat eye YET has a playful side. You can do this win any palette or single shadows you own..
OMG! i love it Shanice!!!! You look so pretty Shanice! And finally a make up tutorial channel on Youtube. Congrats! I'm definitely going to try this at home. It looks great on you. Job well done. Thank you dear for all of your lovely comments! Great look! You're so pretty!